Arillana Garcia enrolled at Polk State College to major in journalism, but she quickly realized she needed to follow her passion instead—music. Thankfully, a Polk State advisor suggested Arillana talk to Music Professor Michelle Manzi, who recommended the required classes Arillana needed to reach her goal as a Music educator. Unfortunately, the extra courses were not financially feasible. While the Music Program and low tuition cost brought Arillana to Polk State College, funds remained short for the aspiring musician. That is when the Polk State College Foundation stepped in to help Arillana. A written recommendation from Professor Manzi, combined with our philanthropic donors, made it possible for an Emergency Scholarship to pay for the extra required classes. Arillana is taking piano lessons and is now a member of the all-female trio ensemble FIORI, providing her experience and confidence to perform. Her goal is to graduate from Florida State University, teach music to elementary students, and ultimately create and write music for The Walt Disney Company. The goal of Polk State College Foundation is to provide a scholarship for each student who needs one to graduate. 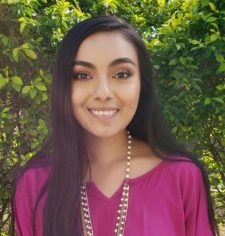 It is our generous philanthropic donors-who believe in and support this goal-that make it possible for the Foundation to assist students like Arillana. Your donation will help provide a hand up to students experiencing an emergency life circumstance and help them attain their goal of a college degree. Polk State College Foundation appreciates the #givingtuesday movement for the positive impact it makes around the globe. We invite you to help students like Arillana on #givingtuesday, consider the Polk State College Foundation in your year-end giving, or donate year-round to help students succeed.